You are an investor. You take your cryptocurrency portfolio seriously and, whether or not it makes you rich, you certainly plan on clearing a tidy profit. If this describes you, it is time to invest in something other than bitcoin alone. It is time to diversify. 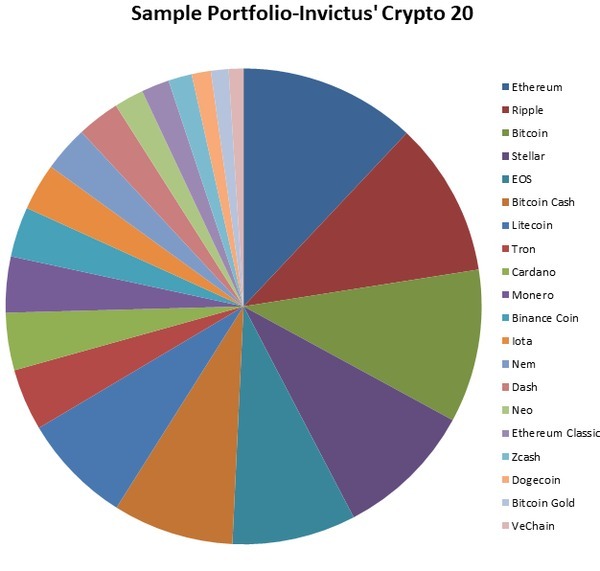 Diversity is key to a long-term portfolio. It is the practice of investing across a number of different products and asset classes to smooth out the effects of unpredictable volatility. This is the key to diversification. It sacrifices the potential short-term gains of one high-performing asset for the stability of a basket of assets. Important for any investor, this is especially crucial in a high volatility market like tokens and altcoins. Professionals call these “trading” markets, as they generally reward short-term trading more naturally than long-term investing. Diversification helps you deal with that. Is Bitcoin a Commodity or Stock? The core principles of diversification are stability and earnings. A portfolio spread across assets will not get dragged down when one bottoms out. In the long run, it will out-earn most single-asset portfolios as the collective gains will usually trend higher than the volatility of a single product. The lure against diversification is the chance of buying a winning lottery ticket, that one asset that goes to the moon and showers down money into your pocket. Realistically, however, like buying lottery tickets, putting all your eggs in one asset basket is not a great way to invest your hard-earned money. This is a particular difference that investors need to understand as they build a blockchain portfolio. Many of these assets, Handschuh said, are simply too new. The market has produced technical data on blockchain assets but very little fundamental analysis. This puts long-term investors at a handicap. How can you choose a five-year asset when most blockchain products have not even existed for that long? Start by reviewing some general principles as they apply to this new asset class. Few Mutual Funds. First, diversifying in blockchain simply requires more legwork. Retail investors in the stock market can use mutual funds and related products as a one-stop shop for spreading out their portfolio. This is an uncommon asset class in blockchain investing. While there are some cryptocurrency-focused mutual funds, and the SEC is still exploring approval of ETFs, for the most part, you will have to build your basket of assets yourself. Set a Strategy and Stick To It. 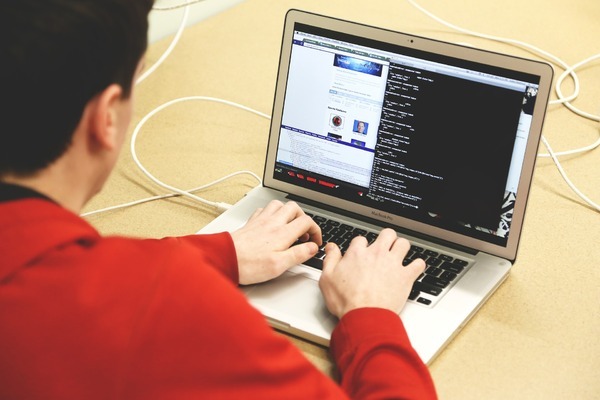 Another standard investment strategy made more fraught by blockchain investment is that it is key that you set your earning and diversification targets and stick to them. Many investors in tokens and cryptocurrency dream of outrageous success. A high-performing asset can take off, and this market has created enough overnight millionaires to keep investors at their keyboards. However, an asset can collapse just as quickly. Build a plan, set your earnings targets, and stick to them. Don’t be tempted by the promise of what could happen if you just hold on a little longer. Yes, you will sometimes read the stories of investors who got rich off an asset you sold. That’s just because no one writes stories about the many, many more investors who lose their shirts on a position you exited. Remember, you’re in this for the long haul. Never Try to Time The Market. 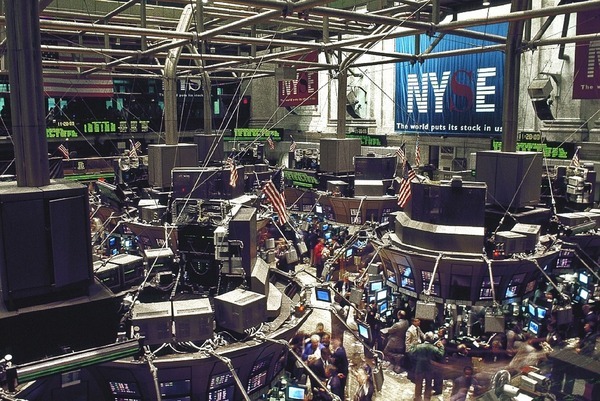 Day traders often talk about “timing the market.” Basically, this means predicting when an asset will jump high or tumble low and trying to trade just before that happens. In theory, it is, of course, a great way to make lots of money. In practice, it’s generally a very good way to lose your shirt. By diversifying your portfolio your goal is to profit off the blockchain market as a whole. Your strategy should be built around long-term trends, not daily jitters. Understand Systematic Risk. Systematic risk is the idea that some risks to a portfolio have nothing to do with individual assets. They are risks that can drag down pretty much every investment in a given market. Inflation is a classic example of systemic risk. When the dollar loses value, it affects every single asset traded within the United States (and most abroad for that matter). Blockchain investments are highly susceptible to systemic risk. 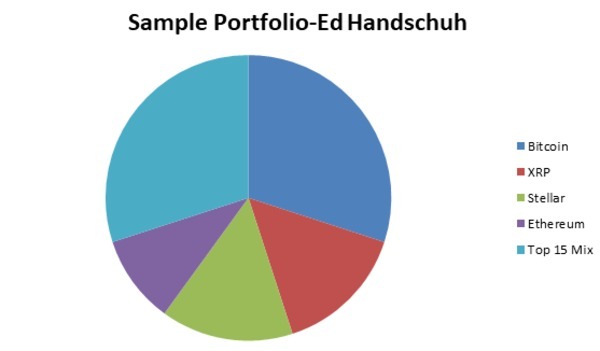 Note: Readers should note that sample portfolios included in this section are for demonstrative purposes only. This is not intended, nor should it be taken, as financial advice. Bitcoin – Around 30 – 35 percent of holdings, because it’s the most stable project and the one most likely to draw new capital. XRP – Around 15 percent of holdings, because of the project’s stability and draw. Stellar – Around 15 percent of holdings, because of its status as a high-utility project with major backers. Ethereum – Around 10 percent of holdings, because of its longevity and value. A mix of top 15 projects – The remainder of holdings spread evenly. However, Handschuh notes that he would avoid projects with major “drama” such as Bitcoin Cash and SV, as this can indicate future instability. He would make sure to have this section of his portfolio represent stablecoins as well such as USD. Of the many strategies for diversification, two of the most common are the market position, in which you plan assets based around how you would like them to behave, and asset class, in which you diversify based on the type of property. Here is an example of each in practice. As you will notice above, each category can have many different assets. The significant question is how you want to apportion your total percent-weight of the portfolio. The Speculation Asset: This is your investment that might go to the moon… but probably not. Exciting but unproven ICOs are a good speculation buy. A high-risk area, you can put some money here, but not too much. The Slow-and-Steady: If anything makes up the bulk of your portfolio, it should probably be this. These are your proven assets like bitcoin and Ethereum, products that you expect to earn a profit even if they’re unlikely to take off. The Stabilizer: Build in some assets that are as close to rock-solid as you can get. These are tokens that haven’t changed more than a few percent in the past year or stablecoins. This section of your portfolio is built for stability. The Counter-Indicator: A counter indicator is an asset that moves in a different direction from the rest of your portfolio. When the market goes down, it goes up, and vice versa. A few counter indicator assets are a good way to ensure that even during a tough market you’ll keep some money. The Market Diversifier: Finally, have at least some money in a different asset class than the bulk of your holdings. If you invest heavily in cryptocurrencies, make sure to add a few security tokens. If you’ve got a lot of ICOs, grab some currencies. You want to break up your exposure to single markets. Pure cryptocurrency: Bitcoin or Bitcoin Cash is a solid purchase for this segment of your portfolio. 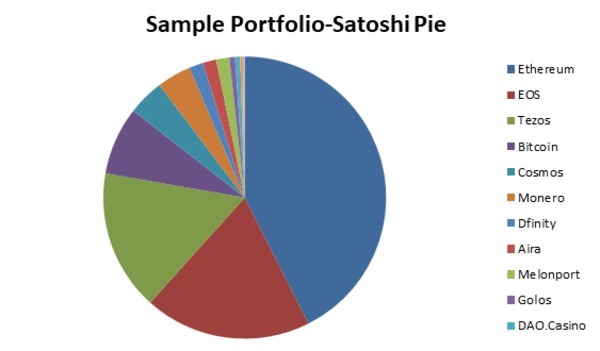 This segment of your portfolio is likely to be more performance-oriented, seeking the kind of gains that many cryptocurrencies can realize. Stablecoin: While not a large segment of your portfolio, stablecoins are a valuable investment for their predictability. A dollar-pegged stablecoin will ensure that at least some of your money will move slowly, steadily, and predictably. Equity Token: As noted in our article on the subject, equity tokens are the blockchain equivalent of stock. They’ll be one of the most traditional assets in your portfolio. Not a volatile asset class, they are a risky one as the performance of an equity token depends on the underlying company. Along with security tokens and cryptocurrencies, this will be the profit center of your portfolio. Security Token: Similar to equity tokens, security tokens don’t represent ownership of a company but they do derive their value from the underlying firm’s success and failure. Your balance of equity to security tokens will mostly depend on the tokens offered by the firms in which you’re interested. Debt Token: This is a small but growing asset class, and it’s one you should probably look for. Investing in debt gives you the stability of a predictable return. While not without risk, debt is a far more secure investment than a security or equity token, but with less of a return. Utility Token: Finally, invest in a few utility tokens to take advantage of the market-based performance of a firm. As investors like Handschuh will quickly point out, there are few (if any) actual utility tokens on the market yet. The ones currently released are all securities, since almost no platforms have gone into full commercial operation yet. Think for the future. Look for firms you think will thrive, because a utility token for a successful firm will have stable but potentially significant value. Talking about your portfolio isn’t just useful, it’s fun. 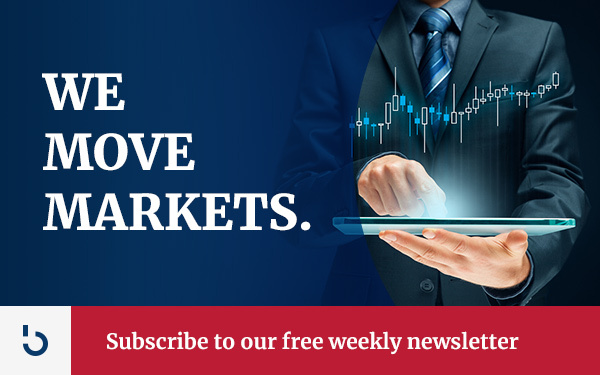 You can keep the conversation going by subscribing to the Bitcoin Market Journal newsletter!